A kid-sized program designed to support reading and art making for ages 0-6 with parent/caregivers. Enjoy a book and art project designed to make families comfortable exploring in a museum setting. 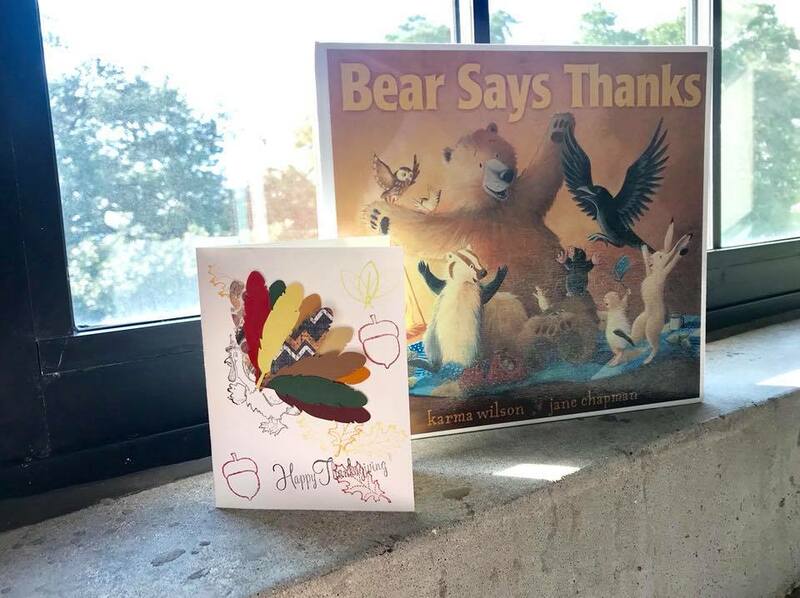 This Friday, we’ll celebrate family and friends at Bear’s dinner party, and make cards to show what we’re thankful for!